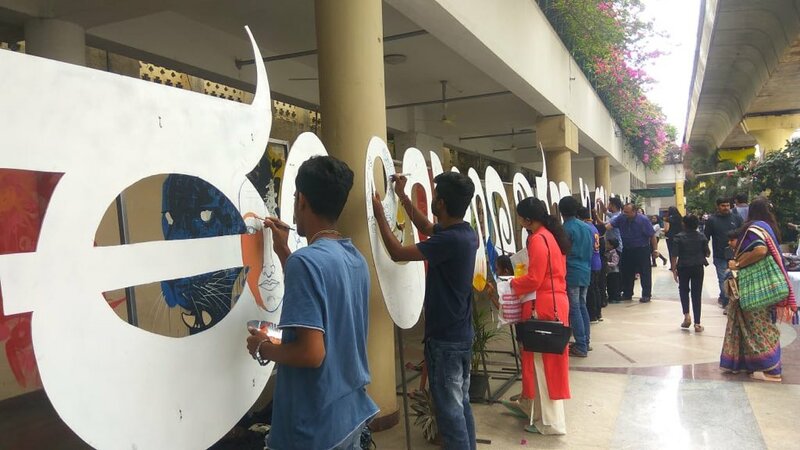 Bangalore: There was a lot of buzz on the Rangoli Metro Art Center on Saturday. The Bangalore metro officials planned interesting activities on International Literacy Day. As part of the celebration, using medium of art and Kannada was used to celebrate the day. As per the United Nations website – International Literacy Day, celebrated annually on 8 September, is an opportunity for Governments, civil society and stakeholders to highlight improvements in world literacy rates, and reflect on the world’s remaining literacy challenges. The issue of literacy is a key component of the UN’s Sustainable Development Goals and the UN’s 2030 Agenda for Sustainable Development. In keeping with the spirit of Literacy, various programs are held across the globe. Bangalore Metro Rail Corporation Limited (BMRCL) joined in the celebration by incorporating elements of art and language. Many commuters participated in various activities planned by Metro officials. Commuters came in large numbers to paint and project their local language via paintings and acts. This celebration was works towards ensuring 100 per cent literacy in Bangalore. 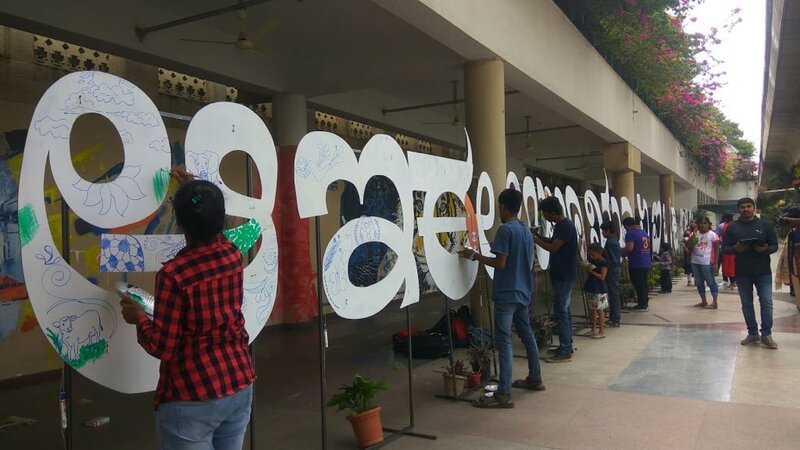 BMRCL created Rangoli Art Centre to create a public space to celebrate cultural excellence via visual arts and performing arts. The aim of starting this centre was to augment community’s identity with the boulevard. The art centre is 30 meters wide and half a kilometre starting from Anil Kumble Circle upto the Brigade Road junction. There are several activities conducted here to engage people in variety of activities with the view to celebrate creativity. It creates an environment where people love to come together perform. Many outdoor spaces for artistic activities and workshops/Demonstrations.